They feel a little thinner and for Olympic Lifting I really like that. I don't like bulky things on my knees I like being able to move. I really like these and they're definitely my favorite!" 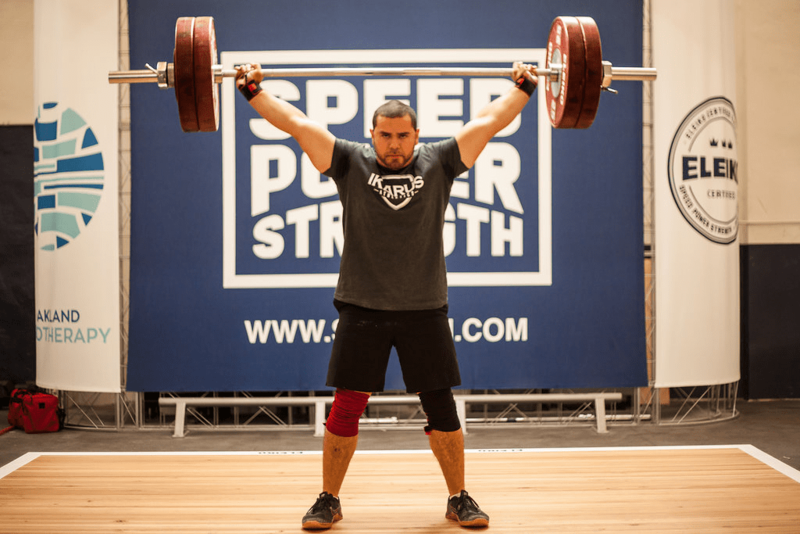 "In Olympic Lifting I want to keep my knee wraps on inbetween sets...I want to be able to put my gear on and keep it on and I was able to do that with these." 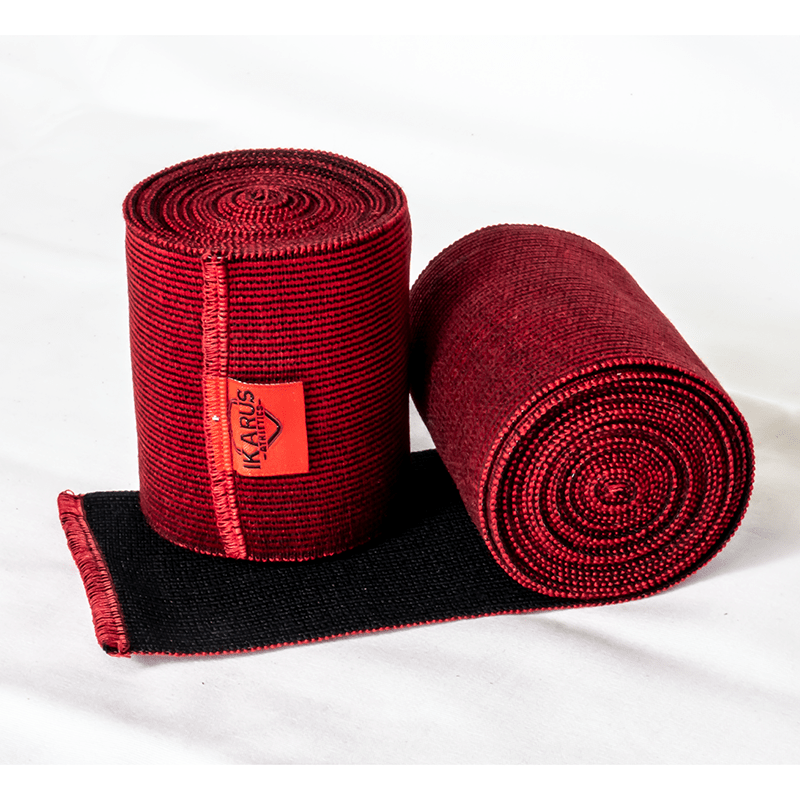 "You can lift heavy OR keep your knees healthy..."
The all-natural cotton and rubber blend ensure you receive the custom level of compression you need to lift more, better. 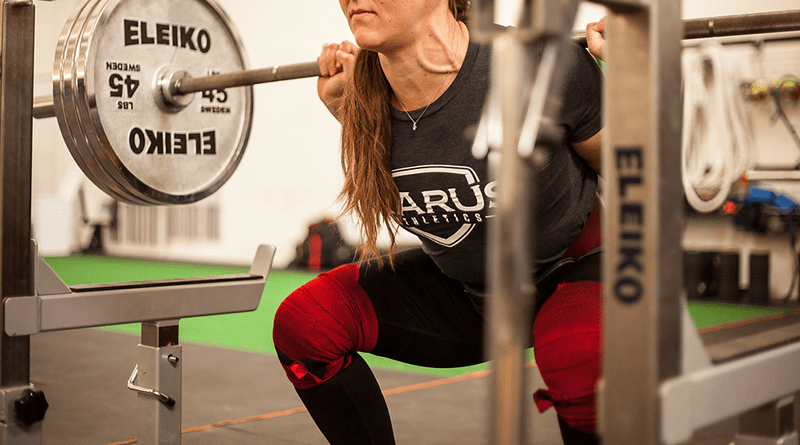 Skip the readjusting period between sets and wear these knee wraps all training day... even throw them on for USAW and IWF competitions! These high-performing Olympic Knee Wraps are exactly what every lifter needs to support their strength gains. SIZE VARIETY: Each wrap is 4" wide and comes in 2 lengths. Thriving in the light to medium weight classes? Go for the 7' wraps. Working from the medium to heavy weight classes? 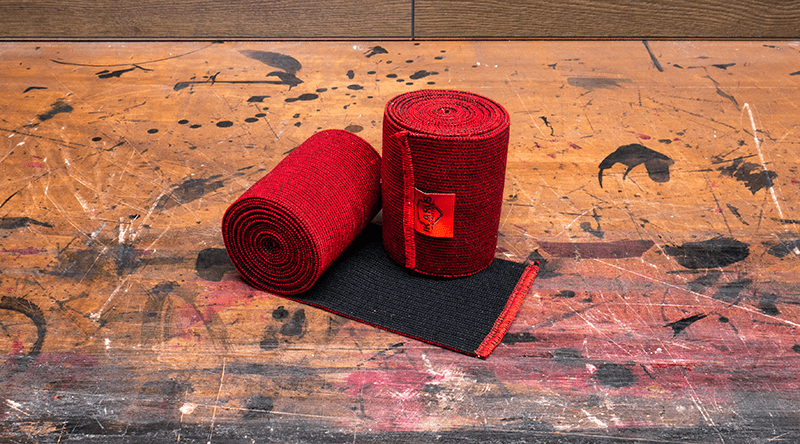 Choose the 10' wraps for maximum coverage. EASY TO CLEAN: Wraps starting to form their own unique scent? Toss them in the wash on the cold cycle and simply hang dry for increased lifespan. EASY TO USE: Just wrap the knee overlapping as you go. Simply pull tighter as you wrap to add more compression.﻿ When you're all wrapped up, simply tuck the end of the wrap under a few layers and you're ready to lift! 5% of all profits go to the American Foundation for Suicide Prevention to help support the mental health of athletes. Regardless of your sport, the odds are at some point in your training you will put your knees under high levels of stress. The last thing you need is injury to a knee to hold you back from training.